XICHANG, Sichuan -- China successfully launched an orbiter into space from the Xichang Satellite Launch Center in southwestern Sichuan province at 4:20 a.m. Beijing Time Saturday. 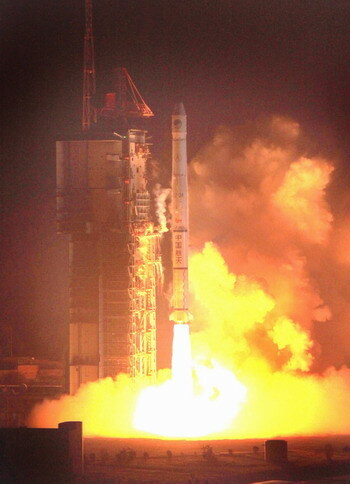 It was the seventh orbiter that China has launched for its independent satellite navigation and positioning network, also known as Beidou, or Compass system. It is the 136th flight for the country's Long March series of rockets. The new satellite, launched on a Long March-3A carrier rocket, joins six other satellites already in orbit to form a network, which will eventually consist of more than 30 satellites.